Wantagh, New York, is a hamlet in the Town of Hempstead in Nassau County. This community of about 19,000 residents has long been known as "The Gateway to Jones Beach." Wantagh is named after the chief of the Merokee tribe that inhabited the area in the mid-1600s. The initial Dutch settlers came from the New Amsterdam colony to the west. English settlers arrived from settlements in Connecticut and Massachusetts. In 1674, the Treaty of Westminster incorporated Long Island into the New York colony. Mail service began in 1780, and the first post office opened in 1837. Wantagh was largely agrarian in nature until the arrival of the Sunrise Highway in 1929. After that, an influx of new residents and commercial fishermen permanently changed the complexion of the region. 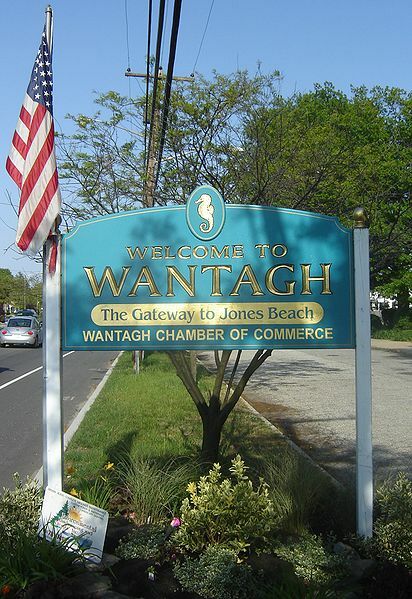 Directly south of Wantagh is Jones Beach State Park, home of the longest stretch of public beach in the world. 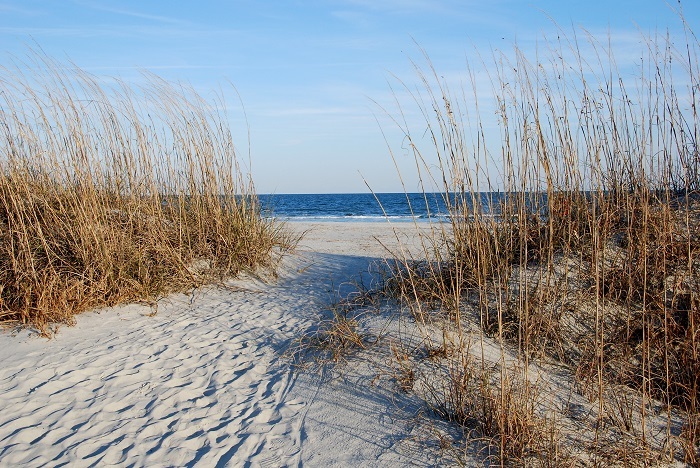 Six miles of white sand beach is complemented by a two-mile boardwalk and concessions. The park also offers two outdoor swimming pools, mini-golf, beach volleyball, paddle tennis, shuffleboard and even a roller rink. The setting is enhanced by the historic art deco architecture found here. Wantagh Park faces Jones Beach. The extensive swimming complex includes six pools. Amenities also include bocce courts, tennis courts, lighted ball fields and hiking trails. 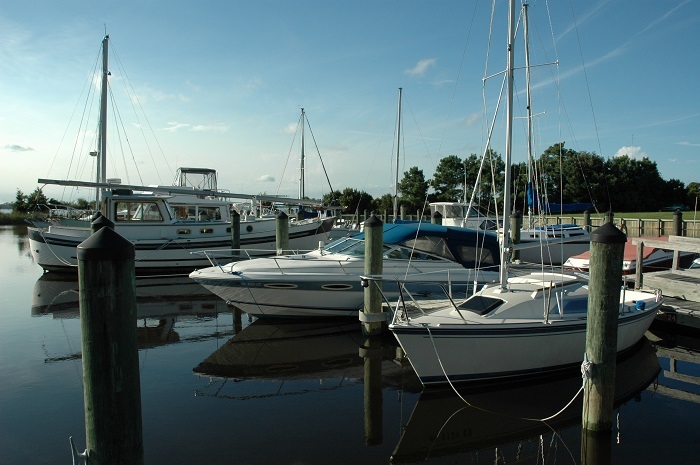 There's a marina, and the fishing pier is open throughout the year. There's even a fenced-in dog park. The 15-acre Mill Pond entices anglers with a wide variety of gamefish and panfish, including largemouth bass, chain pickerel, bluegill, black crappie and yellow perch. The park also offers a paved hiking trail. The Theodore Roosevelt Nature Center is located at the west end of the state park at Jones Beach. The kids will delight in experiencing the butterfly garden and Discovery Bone Cove. Nature lovers with Wantagh properties can stroll along the educational boardwalk and experience the South Shore Estuary Reserve. The Bethpage Air Show showcases both stunt planes and fighter jets at Jones Beach State Park during the Memorial Day weekend. In the past, world-renowned groups like the Blue Angels and the U.S. Air Force Thunderbirds have performed at the air show. At Jones Beach Theater, those with Wantagh NY real estate enjoy a variety of performances during the main season. Our Team can help you to get acquainted with the diverse array of Wantagh homes for sale. A prospective Wantagh home buyer can choose from classic waterfront Wantagh real estate, historic Cape Cods and newer Wantagh homes with modern amenities. Whatever your tastes or budget, our team can find Wantagh NY homes that offer real value. All real estate in Wantagh is in excellent proximity to all of the cultural, sports and entertainment possibilities offered by New York City. You're certain to find just the right residence among all the homes for sale in Wantagh. Step Right Into Nassau County Suburban Living! Partially Updated Split Level Home Just Waiting For Your Finishing Touches. Wood Floors, Ss Appliances, New Cabinets & Countertops. Updated Bathrooms, Den/Family Room With Fireplace & More! Centrally Located W/ Everything You Could Want Or Need Right At Your Fingertips! Don't Let This Deal Get Away! Great Home In Award Winning Mandalay Section Of Wantagh Featuring Updated Kitchen With Separate Eat In Area With Sliders To Deck Overlooking Private Yard, Lots Of Natural Light, 3 Bedrooms On 2nd Floor, 1 And 1/2 Baths, Spacious Open Living Room that is Great For Entertaining With a High Ceiling And Separate Formal Dining Room, Mud Room In Rear Of House. Long Driveway Leads To A 2-Car Garage. Diamond Condition, Huge New Country Eik, Beautiful Craftmate Cabinets, 30 Feet Of Custom Granite Counter Space And Beautiful Ceramic Floor. All Stainless Steel Appliances, Great Location And Spacious Fenced In White Pbc Fence 6 Ft High, All Around The Entire Yard, New Bath Just As Nice. Make This House Your New Home!!!! Cozy! Very Spacious One Bedroom Condo Located On A Private Quiet Block, Brand New Hardwood Floors Throughout, New Windows, New Washer, New Dryer, Formal Lr/Dr, Eik, Huge Master Suite With Fbth, .5 Bth, Huge Backyard, Indoor/Outdoor Tennis Court, Community Club House Available, Community Pool Included, Gym Available, Lots Of Parking Available, Near All Shopping, Transportation Etc. Don't Miss Your Opprtunity Won't Last!!! Great End Condo Unit on Ground Floor. Beautiful New Floors. New Andersen Windows. Large Master Bedroom w/Large Closets. New Washer & Dryer. Sliders to Patio. Amenities includes: Pool, 2 Tennis Courts, Playground, Clubhouse . Conveniently located. Charming Cape On A Generous Sized Property. Quiet, Mid-Block Location W/ Seaford School District! Wood Floors Throughout Living & Dining Room W/ A Stone, Wood Burning Fireplace. Needs Your TLC & Personal Updates To Make It Home Sweet Home. Great Neighborhood To Reside In So Don't Miss A Great Opportunity!! Lovely 4 Bedroom, 2 New Full Baths Waterfront Cape Features Living Room W/Fireplace, Updated Eik, Formal Dining Room, Enclosed Porch With Views Of The Canal, Eik, Basement, 1 Car Garage With Extra Long Driveway, Private Backyard, And More! Low Taxes! Prime Wantagh School District. Moments To Lirr. The data relating to real estate for sale on this web site comes in part from the Broker Reciprocity Program of the Multiple Listing Service of Long Island, Inc. Real Estate listings held by brokerage firms other than All Island Estates Realty Corp are marked with the Broker Reciprocity logo and detailed information about them includes the name of the listing brokers.